Lynden Pindling International Airport (LPIA) will ring in 2017 with high passenger counts. Monday, January 2, 2017 is expected to be the busiest day of the holiday season with more than 14,100 persons projected to move through the terminals. In total, Nassau Airport Development Company (NAD) estimates some 85,000 passengers arriving and departing LPIA between mid-December and January 2. “We’re expecting to end the season on the trend of high passenger volumes, particularly on the day after New Year’s which is traditionally the busiest day of the holiday period,” explained Jan Knowles, Vice President of Marketing & Communications at NAD. International arrivals, inclusive of inbound passengers from the United States, will top out at just over 5,000 on Monday with US Departures projected at 4,800. Travellers heading to the United States and other International destinations are encouraged to arrive at least three hours before their scheduled departure and to also take advantage of options to make processing times more efficient. Passengers should also stay connected to the airport and their airlines via social media for important terminal updates and any schedule changes. 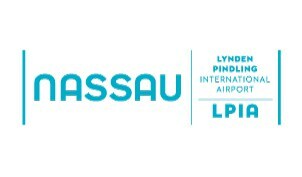 LPIA also posts updates on it’s website www.nassaulpia.com and on www.facebook.com/NassauAirport, Twitter and Instagram @nassau_airport.